As BoomTown noted in January, the D: All Things Digital conference–after an initial foray into smaller, niche Dive events–has been mulling going global next. 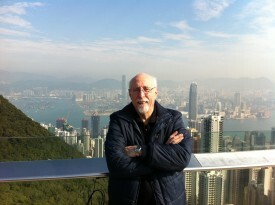 So, my longtime partner in digital crimes, Walt Mossberg, and I–along with D biz honcho Lia Lorenzano–headed to China in January to visit some possible locations for our first AsiaD. And now it’s official: We’ll be doing an event October 19 to 21 in Hong Kong. While we are still working out all the location logistics, Walt and I are already hard at work with our Dow Jones partners there to bring the magical mystery tech tour that D has been here to the audience there. It will be a pan-Asian event, bringing in speakers and demos from all over the region, as well as inviting some key U.S. digital players to be interviewed in what is clearly one of the most important markets going forward. We’d welcome any feedback, of course, as well as suggestions. And we’ll keep you updated to our progress too. As with big D, which is set to take place May 31 to June 2 (and has been long sold out), we’ll be posting reports and videos of AsiaD.